Since 2005, Envision Financial has been a faithful supporter of FCHS and top sponsor of our annual Hike for Hospice, our Society’s largest fundraising event. 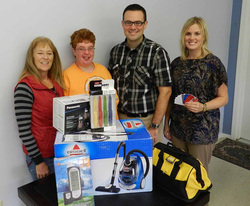 To date, the company has donated well over $13,000 in both monetary and in-kind donations. In September 2013, Envision donated 62,000 Master Card Rewards points through an employee reward program. These points were used to purchase resource material for our training courses, support groups and lending library, personal care items for families staying overnight with their loved ones, a portable CD player and portable speakers for our vigil program, and decor for our relaxation program. Thank you, Envision! On Friday, August 30th, Fraser Canyon Hospice Society formally recognized Hell’s Gate Airtram as a Top Supporter of the charity following an annual cheque presentation. 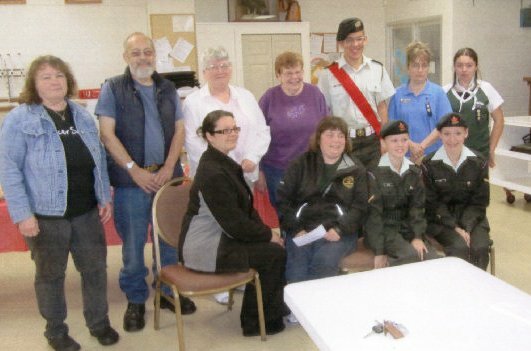 For many years, Hell’s Gate Airtram had donated its monies raised from the Wishing Well on their property to different charities and organizations in the Fraser Canyon. It was with the passing of their General Manager Barry McKinney, in 1998, that the Fraser Canyon Hospice Society would become the Company’s Charity of Choice. All monies were then to be earmarked to cover the cable TV in the Palliative Care Wing of the Fraser Canyon Hospital in memory of their beloved Barry. Since that time, the Hell’s Gate Staff have become more involved and have hosted different fund-raising events, such as Legion Bingo, Corporate Bowling, Spin the Wheel at the Annual Pumpkin Drop and Bottle Drives. 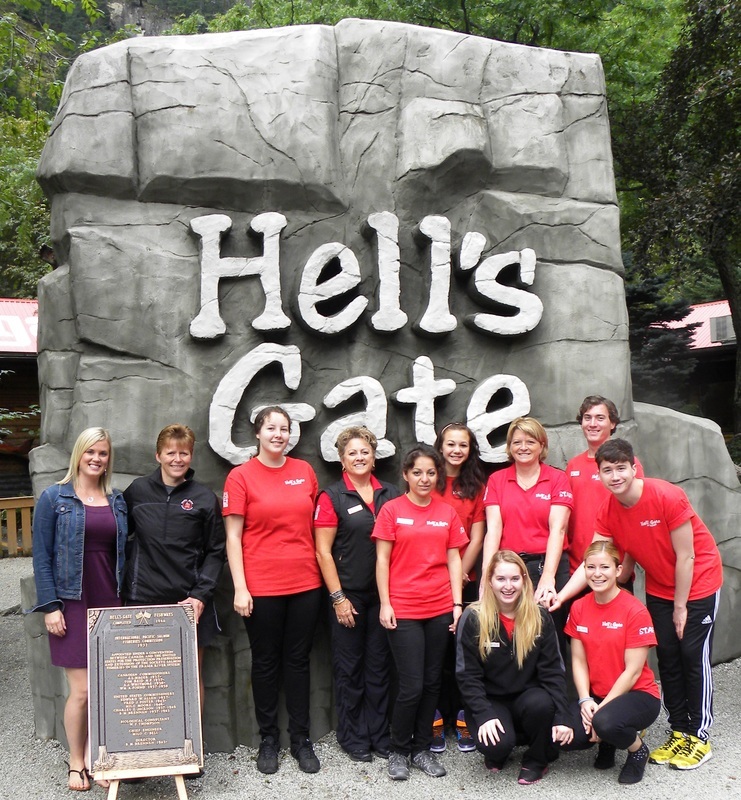 Furthermore, Hell’s Gate has given in-kind door prizes for FCHS events, offered staff to volunteer and used these opportunities to raise awareness and inspire other community agencies to support the cause of Hospice Palliative Care. Since 2006 alone, Hell’s Gate has contributed over $6,245 to the Society! Thank you Hell's Gate Airtram! We are honoured to be your charity of choice. 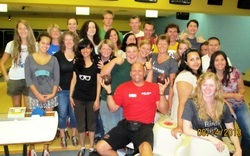 On Wednesday, August 14, 2013, over 30 staff from Hell’s Gate Airtram, Blue Moose Coffee House, Destination Hope & Beyond, Yale Historic Site, Connect Media and Sunshine Lanes gathered together to bowl, eat pizza and fund-raise for Hospice. 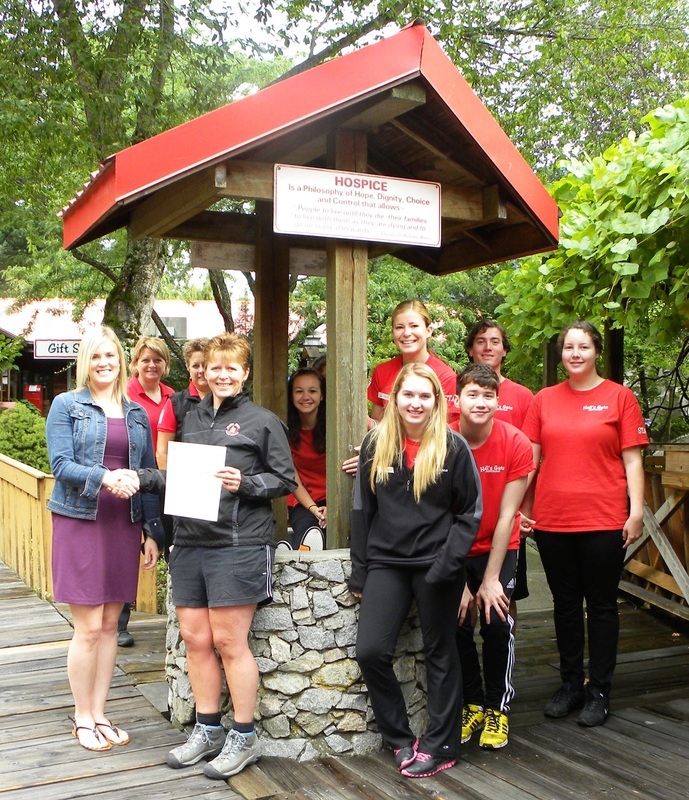 We are excited to announce that collectively the group donated $756 to the Fraser Canyon Hospice Society. This is the group’s 2nd year organizing this event. Thanks to their generous donation those in our community who have lost a loved one have access to a well-resourced support group. We are honoured to be their recipient of choice. 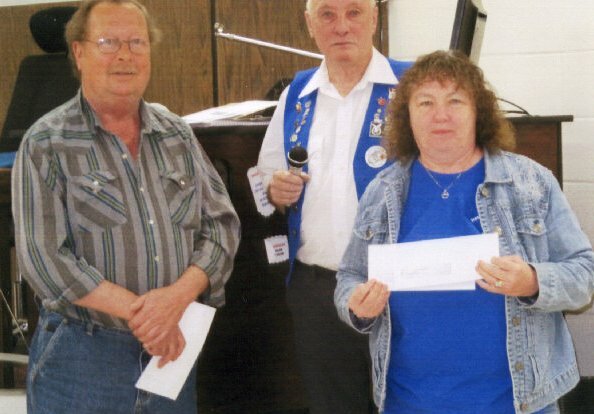 On May 26, 2013, The Fraternal Order of Eagles # 2690 Treasurer Al Derrick and President Herb Smith presented our Society with $2,000 which was split equally between Camp Skylark and our Palliative Services. 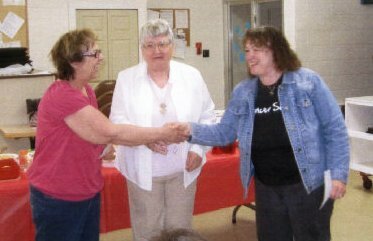 Then, on May 28th, The Fraternal Order of Eagles Ladies Auxiliary #2690 donated an additional $450. We thank you for your continued support! 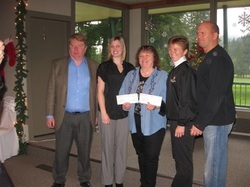 During our Volunteer Christmas Luncheon at the Hope Golf Course, 2012, cheque presentations were made with Dennis Adamson, FVRD Electoral Director; Ashleigh Erwin, Hospice Coordinator; Pat Besse, FCHS Chair; Debbie McKinney, Hell's Gate; and Brian McKinney, Hell's Gate and Hospice Volunteer. Photo Credit: Judy Miller.